Ahhhhhhh! Keeping the little one's busy has seemed to be a little challenging this Ramadan! I haven't been able to do much with them craft wise as usual, Subhan Allah. Maybe this is why it seems more of a challenge. I am just now getting things situated and it's nearing the last ten days, Insha Allah. I just wanted to quickly share with you this wonderful coloring book that our wonderful sis over at Talibiddeenjr Blog has put together. 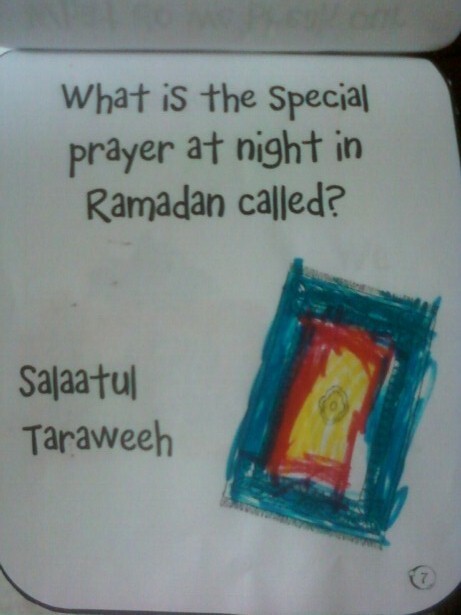 It's such a nice Ramadan coloring book. A very simple book, but it teaches and is so much fun to color. Here are some pics of a few pages in the little one's books, I printed 3! 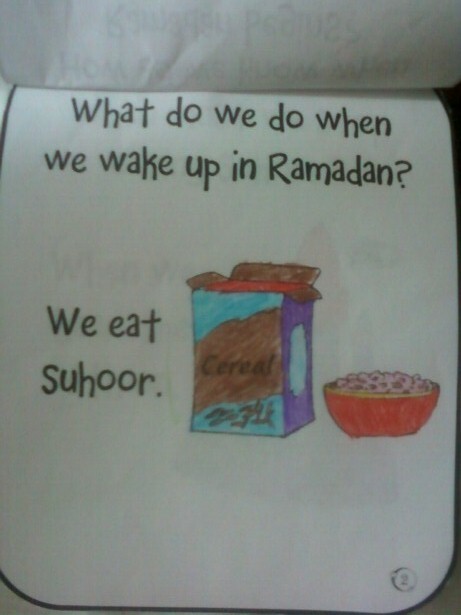 This is a page in my 6 yr olds book. 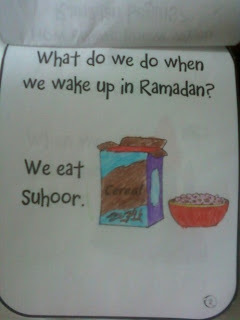 Last but not least, here is a page in my dear 3 yr olds book, masha Allah. 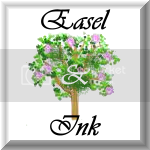 Go over and take a look, print this one out and have your little one color! 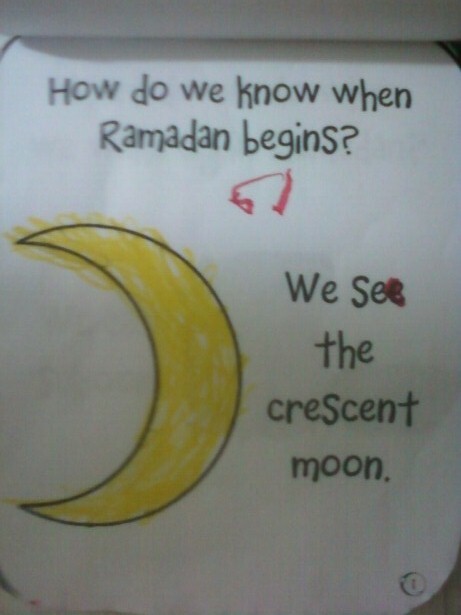 It's a great addition to your Ramadan activiites. I loved this book because I could simply have them read it if they are able to read then while they color we talk all about it. Little intervention from me, and we are spending quality time while I am cooking!